The November 1914 issue of National Geographic Magazine is famous in Russia. Under the title "Young Russia. 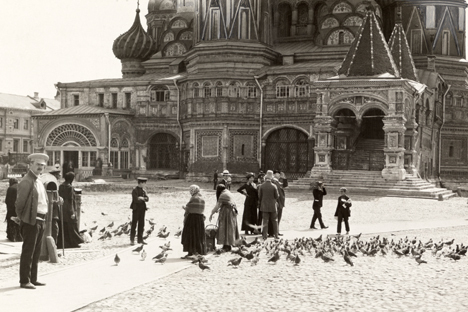 The Land of Unlimited Possibilities,” journalist and editor Gilbert H. Grosvenor gave the reader an idea - with a hundred pages of text accompanied by just as many photographs - of Russia's geography, history, economy, customs and traditions, of its beliefs and aspirations. With majestic slowness resembling the Volga River - the symbol of Russia - Grosvenor begins his narration very meaningfully: "Russia is not a state; it is a world…"According to the traveler, the country's resources are inexhaustible. Grosvenor talks about Russia's achievements in industry, trade, agriculture. He believes it is capable of feeding half of the world. The population growth is enviable (according to his estimates, by the end of the 20th century 600 million people were supposed to live in Russia). The main objects of his photographs are people. The magazine does not have any portraits of the tsar or his family, just numerous photographs of common people: industrialists, merchants, peasants and artisans. Grosvenor dedicated the "Russia and the United States" section to Russia's contribution to the formation of America. He reminded readers about Catherine the Great's refusal to send Cossacks to subdue the American colonies when King George III asked her, about Russia's many efforts in ending the war between the U.S. and Great Britain, about the friendly visit of Russian squadrons in New York and San Francisco during the American Civil War, which helped prevent foreign intervention. Many of these facts were a revelation for readers. The magazine could not but stir Americans' interest in Russia. After such promotion Russia could only expect a flow of curious tourists, farseeing businessmen and so on. But the world stage darkened. The First World War snuffed out the hopes of many nations. The chance to realize Grosvenor's optimistic hopes in the development of American-Russian relations was lost. The National Geographic Magazine itself has not lost its interest in Russia. Since 1914 more than a hundred articles about the country have appeared on its pages. Today the magazine is published also in Russian with a circulation of 29,000 copies. Alexander Potemkin was the last Soviet cultural attaché, and is now the executive director of the American-Russian Cultural Cooperation Foundation.